Why are people afraid to invest when the market is down? Before diving more in-depth, let’s first understand why people are afraid to invest when the market is down. For the beginners, they are simply scared that the market may go further down and hence, it might not be the right time to invest. Sounds legit, right? However, here the problem is that even the most experienced investors can’t time the market correctly and repeatedly. If you are planning to invest in the stocks at the bottom most price, you would most probably fail. The better approach would be to buy when they are cheaper, not the cheapest. On the other hand, the existing investors are afraid to invest further because they are already bathing in their blood. As many of the stocks in their portfolio may be in red, these investors might be scared to make further investments. However, this approach doesn’t sound correct, does it? I mean, let’s assume that you bought some seeds to plant in your field which may produce big returns in the long-term. However, after a few months, the price of those seeds dropped significantly. What would you do? Would you buy more of those seeds so that you can enjoy a bigger discount and secure your future even further? Or will you just stay out of the market, even though you have a larger field left to sow? In my opinion, it would be a better outlook to buy more seeds at a cheaper price which might produce a greater return in the future. 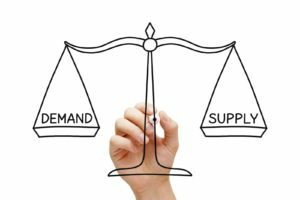 The laws of supply and demand say that whenever demand is lower, the price must come down. 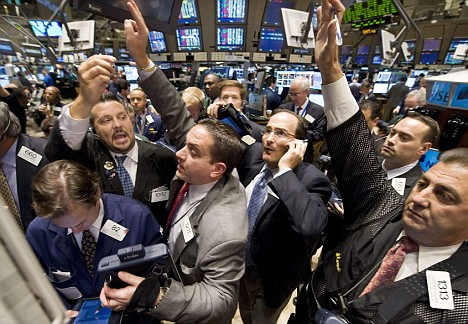 Now, when there is blood in the streets, there is a panic selling and a majority of people tends to sell their stocks. In such scenarios, the demand of the stocks decreases a lot compared to the supply. And obviously, when demand is less (and the supply is more), you can buy stuff at a better discount. (On the contrary, when the market is high — the demand goes higher and hence the buyers have to purchase the same stock at a premium). That’s why bad times make for good buys. Invest in the market when there’s blood in the street and you can get great bargains. 7 Best Value Investing Books That You Cannot Afford to Miss. The market always gives opportunities, but only a few are brave enough to take it. If you look at the stock market history, you can find that the market always gives opportunities to purchase shares at a lower price. Whether it was correction during March 2018 (after the announcement of re-introduction of LTCG tax) or the demonetization, the market has always given amazing opportunities to the buyers. However, most people miss out these opportunities as they are busy following the crowd. Nevertheless, buying when the market is high and trying to sell during the lows can never be profitable for the investors. Moreover, making emotional decisions to sell stocks when the market is down is always a mistake. The history says that market rebounds, and over the long term, it always gives decent returns (And this is a fact). Even during the worst economic crisis of 2008 (when the market fell around 60%), the market bounced back to the same points within two years. The biggest losers at that time were ‘not’ the ones who bought the stocks at the highs of 2008, but the ones who ‘bought at high’ and ‘sold at low’ (just because they didn’t have patience). And if the market can survive such a big crisis, then it will definitely recover short-term corrections (or bears) and give good returns for the long-term investors. The intelligent investors should consider these times as opportunities, rather than threats. In one of my previous post, I had suggested starting building your watchlist as the market was high then. And if you’ve followed my suggestion then, you might already have a list of a few amazing companies with terrific return potential in the future. (Btw, I believe everyone should keep a watchlist so that they do not miss out opportunities like these). Next, look into your watchlist and find out the current valuation of those stocks. If any of them are currently undervalued or even trading at a decent valuation, then it is the right time to act. (Quick Note: You can also use the Trade Brains’ free online calculator to find the intrinsic value of the stocks. Here is the link to the calculator). Final tip: The best stocks to invest are the ones already existing in your portfolio. I learned this lesson years back when I read ‘One up on wall street’ by Peter Lynch. And I believe it is a necessary lesson to share in this post. The best stocks to invest are the ones already existing in your portfolio. Maybe they are trading at a lower valuation, and your portfolio is in red. However, they are still the best options available to you. You have already researched those stocks, and they are still in your portfolio only because you’re confident that it will perform well in the future. Then, why not to invest more in such stocks when they are selling even at a better discount. Look into your portfolio and find out those stocks which are currently trading at a cheaper price. Quick Note: This tip doesn’t work for the newbie investors. If you’re new to stocks and haven’t yet researched or invested in stocks, then this article that can help you to pick winning stocks. That’s all. I hope this post was useful to you. Happy Investing. The title of this post blew me off. Great post, brother. It is always good to listen from you. I am a newbie and learning continuously. You tips bring me into a the Investment world I had dreamt of. You are welcome, Rabinarayan. Cheers!! I want say you if anyone losing daily 10000-20000. Because market are very sensitive now a days. What is your strategy about small profit Vs big loses? 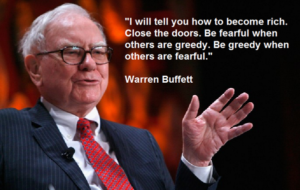 To hold share to be greedy when market is not our favor. Hi Ankit. Small profits of 1-2% are really not worth booking because if you consider the brokerage, taxes and other charges- most of the profit will be gone. Besides, holding stocks for a long time doesn’t make the investors greedy, but intelligent. In my opinion, do not mind the short-term losses if the company is amazing and has the potential to give terrific returns five years from now. Further, In the long term, there will be many corrections and bear market. And if you keep selling the stock every time the market is not in your favor, your investment horizon will never be long enough. which broker is suitable for beginners? Hi Akshay. I would suggest discount brokers like Zerodha or 5Paisa as they will save you a lot of brokerage charges. Cheers!! Love your articles and analysis, In one of your posts you proved Maruti is a better than Tata Morors which I completely ageee but maruti stock is already at high price so what about investing on TAtaMotors now as it has more probability of getting multiplied considering how EV revolution is positioned itself in the current world and these companies have to produce millions of Eva’s on near future…so if we can hold onto longer periods which one you think a better option in the long run ? Hi Booby. Thank you for your comment. In Tata Motors vs Maruti Suzuki analysis, I did a relative comparison. The issue with the relative comparison is that there’s always a winner (and a loser) when two stocks are compared. However, if you’re planning to invest- it’s better to look at a broader picture than just two stocks. EV Industry is expanding every day and multiple automobile companies are working to bring the next disruption. It’s good that you are planning to invest in a growing segment, but my suggestion would be to look at all other companies that are working in the EV industry. Apart from Tata (Tigor EV), there are many other upcoming EVs like Mahindra (KUV EV, Reva), Hyundai (Kona), Nissan (leaf), Renault (Zoe EV), Maruti Suzuki (WagonR EV) etc. Many of these companies are MNC but still, they are big competitors to Tata which means that Tata will still face trouble to increase their profit margin by international competitors. In short, don’t invest in intuition. Do the research and find out which company is investing and innovating enough for the next revolution. I hope it helps, Bobby. Cheers.